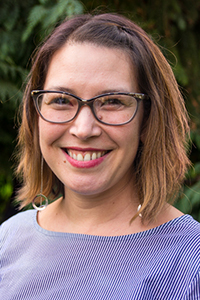 Lisa Heyamoto is a narrative journalist and journalism educator whose research, teaching and creative work focuses on community-building through storytelling. Before joining the SOJC faculty, she was a columnist and reporter at The Sacramento Bee and The Seattle Times, where she wrote about culture, lifestyle and trends. As a senior instructor of journalism at the University of Oregon, Heyamoto cultivates the next generation of journalists by combining foundational skills with critical thinking and digital agility. She oversees the SOJC’s multimedia storytelling sequence, Gateway to Media, as well as several experiential learning programs in New York, Cuba and Sri Lanka. She has won several teaching awards, including the Jonathan Marshall Award for Innovative Teaching and a Disruptive Educator Fellowship from the Tow-Knight Center for Entrepreneurial Journalism. She has been voted one of the best professors at UO. Heyamoto is co-founder of The 32 Percent Project, which explores what drives and disrupts public trust in the news media. She holds a masters degree in literary nonfiction journalism and a bachelors degree in journalism and English.